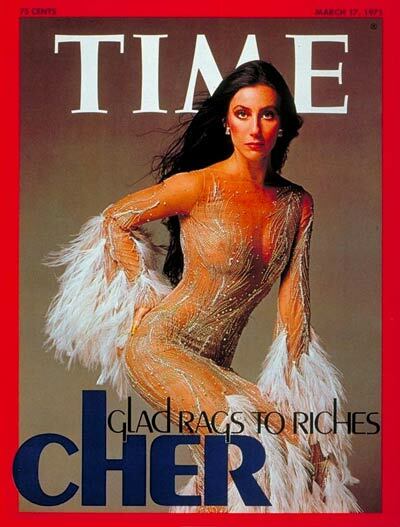 Cher in Bob Mackie, TIME magazine, March 17, 1975. Photo: Richard Avedon. Image: TIME. 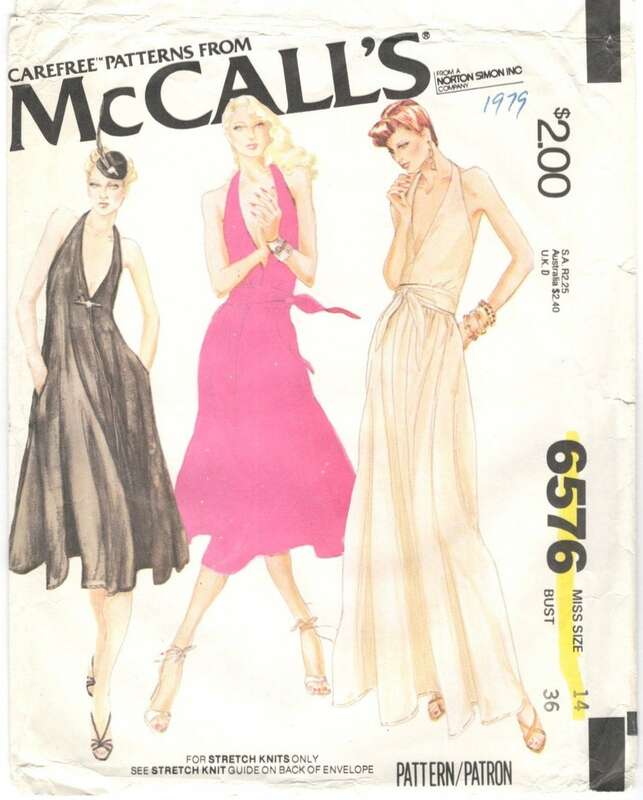 Speaking of Bob Mackie, I found some more Bob Mackie patterns from McCall’s. Unhelpfully for collectors, vintage designer patterns were sometimes printed without the name on the envelope. This is the case with three Bob Mackie patterns, which were released earlier than those in my first Bob Mackie post. Like the other Mackie patterns, these three are also for stretch knits. 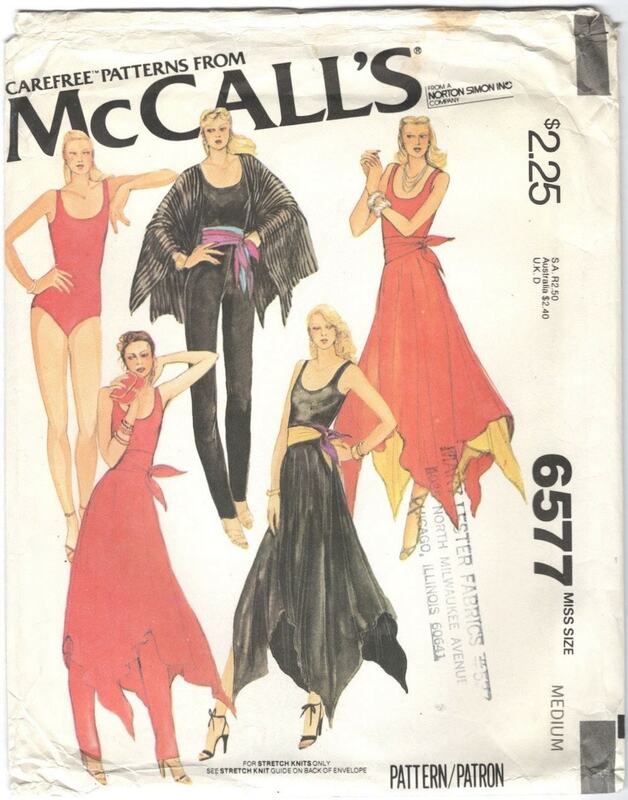 McCall’s 6575 by Bob Mackie (1979) Image: PatternVault shop. McCall’s 6577 by Bob Mackie (1979) Image: PatternVault shop. 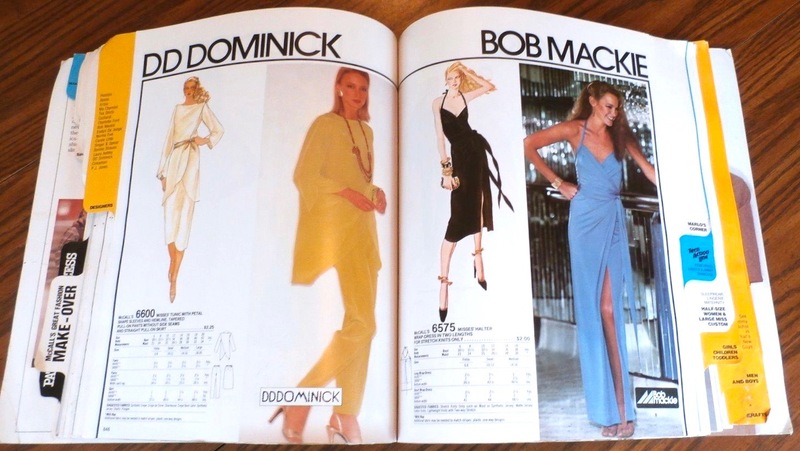 Designs by DD Dominick and Bob Mackie in McCall’s catalogue, September 1979. Image: eBay. 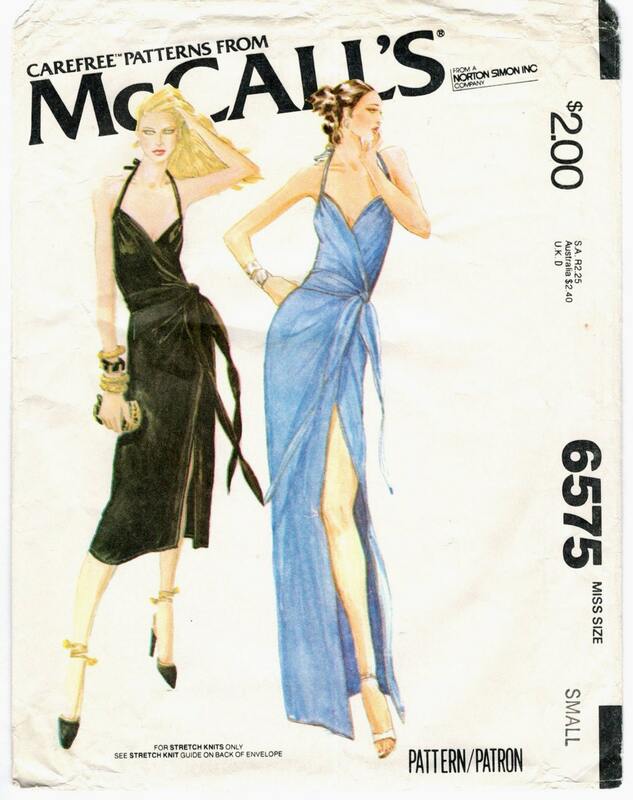 Bob Mackie designs in McCall’s catalogue, September 1979. Image: eBay. The genius of Bob Mackie’s costume designs for Carol Burnett and Cher and other TV shows doesn’t get enough recognition. He got the script just days before they were needed. The comedy skits showed that he really knew his history and the American audience. He was responsible for the best costume joke of all time: the Gone with The Wind dress made of green velvet curtains on the Carol Burnett Show — he didn’t write the line, “I saw it in the window and I just couldn’t resist it,” but he included the curtain rod and the hat made of fringe.. Your thoroughness and research is a pleasure, and here you’ve outdone yourself. I remember most of those patterns. I can’t remember anyone’s birthdays, but I remember those patterns!